Ordered from Food Inn Today through Foodpanda. Only ordered couple of things, however first impressions are good. Also I must mention being a rainy evening I was a bit concerned whether they would be able to deliver from Vimannagar in Kharadi but they did and within reasonable time as well. 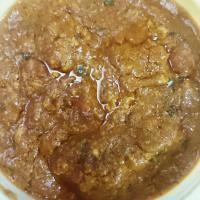 Half butter chicken handi – 3.5/5, the quantity is good enough for almost 2.5 persons and is a fairly decent preparation. In hindsight it could have been just a little less sweet but the sweetness doesn’t overflow either. If this aspect could be addressed this preparation can turn out to be brilliant. 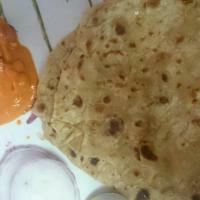 Butter paranthas – Fairly alright wheat paranthas which were soft after delivery and were smitten with butter. I ordered for a single person hence limited number of items but I am quite happy with my first order and definitely order more items in the days to come and further update here. This time round I ordered chicken Mughlai half and Paneer kadhai half. 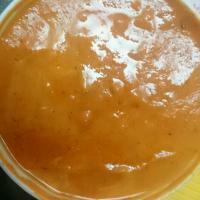 These dishes are sufficient for 1.25 persons and they are difficult to share between two persons. 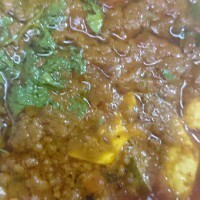 Paneer kadhai – 4/5, it was a rich gravy with onion and capsicum and I must mention the Paneer was so so soft that it can be termed as a real Malai Paneer. Chicken Mughlai – 4/5, was a fairly good preparation and came with three small to medium sized chicken pieces and I quite liked it as well. I guess from a take out place what you expect is timely delivery with sufficient quantity and good enough quality. I must say food inn has checked all these points with flying colours.